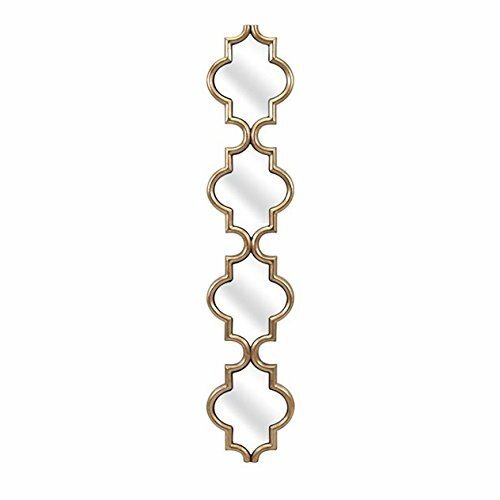 Gorgeous wall mirror elevates any decor. Expertly handcrafted of PU and mirror. Measures 47-Inch high by 9.5-inch wide by 1-inch. Due to the artisan crafted nature of this product, no two will be identical. IMAX Worldwide-One source, a world of choices. This fanciful wall mirror can be hung alone or hang in multiples using coordinating diamond Madlyn mirror to fill the spaces between.